Hangar is a visual arts research and development center based in an old industrial warehouse in Poblenou. Managed by the Associació d’Artistes Visuals de Catalunya and supported by the Generalitat de Catalunya and Ajuntament de Barcelona among others, the center provides residencies, production equipment, technical assistance, marketing and other services to local and international artists. 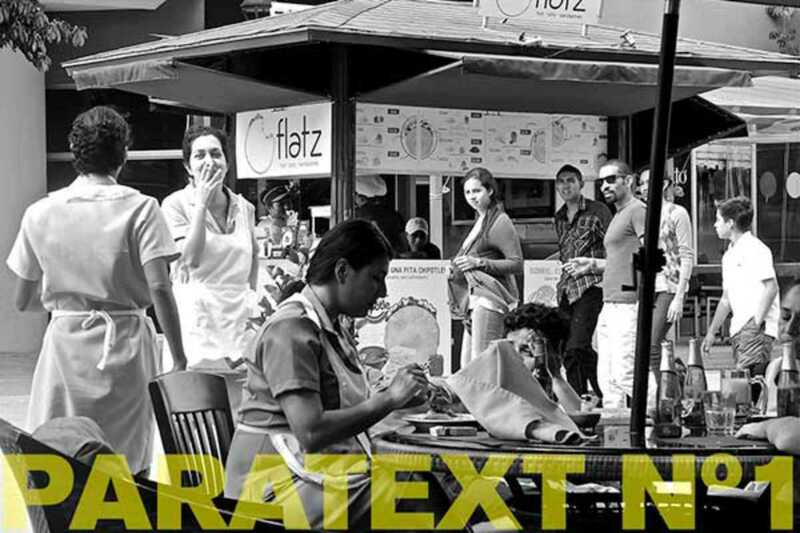 Paratext is a new initiative that aims to introduce the general public to the center’s resident artists in a non-conventional format open to audience interaction. Participating in today’s session are Catalina del Cid, Loo Zihan and Llobet & Pons.